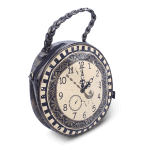 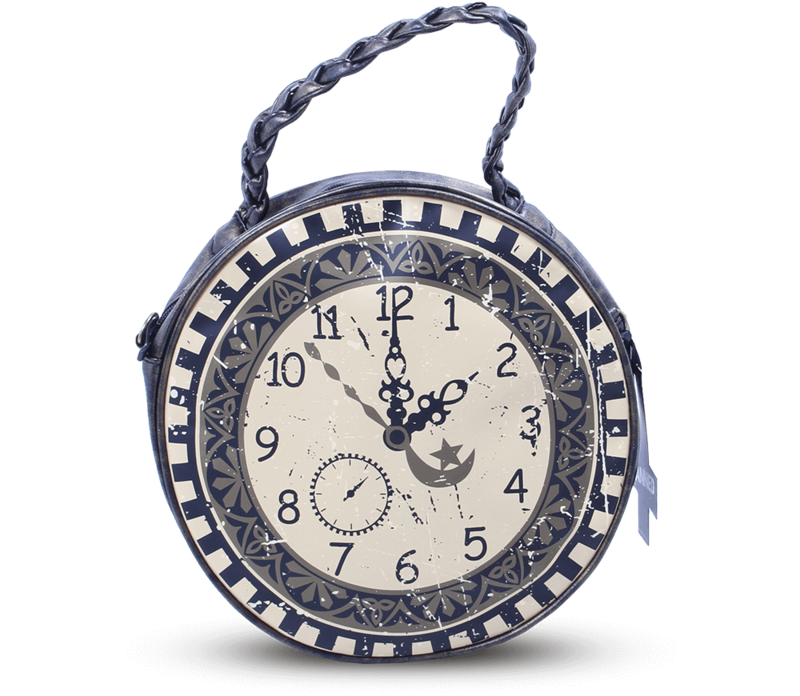 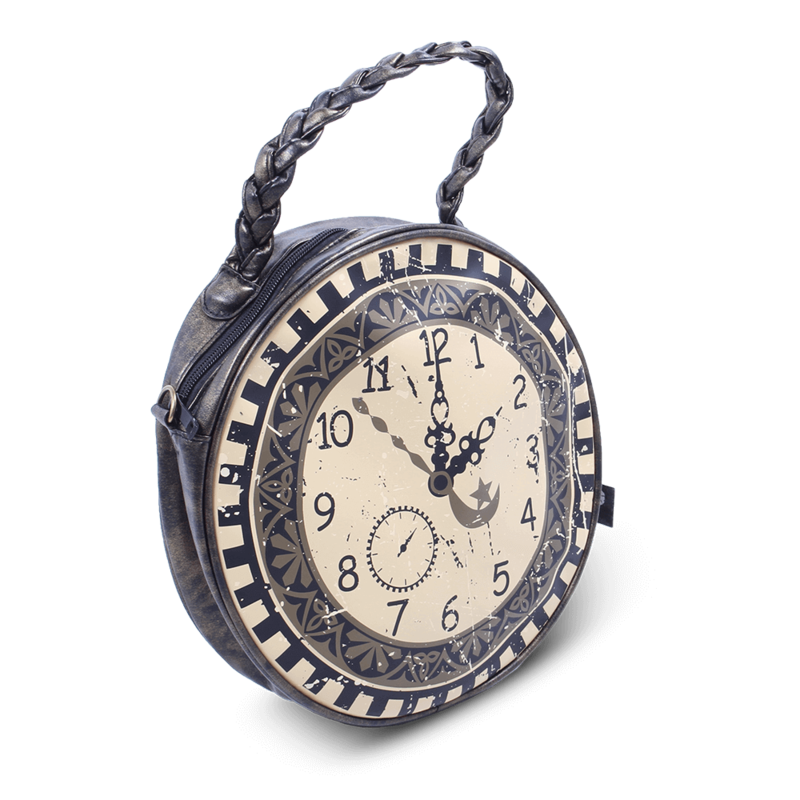 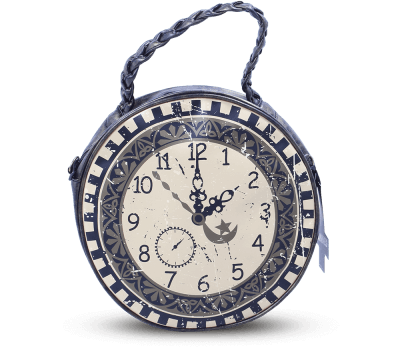 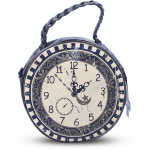 An unusual steampunk, Victoriana clock face circular bag. 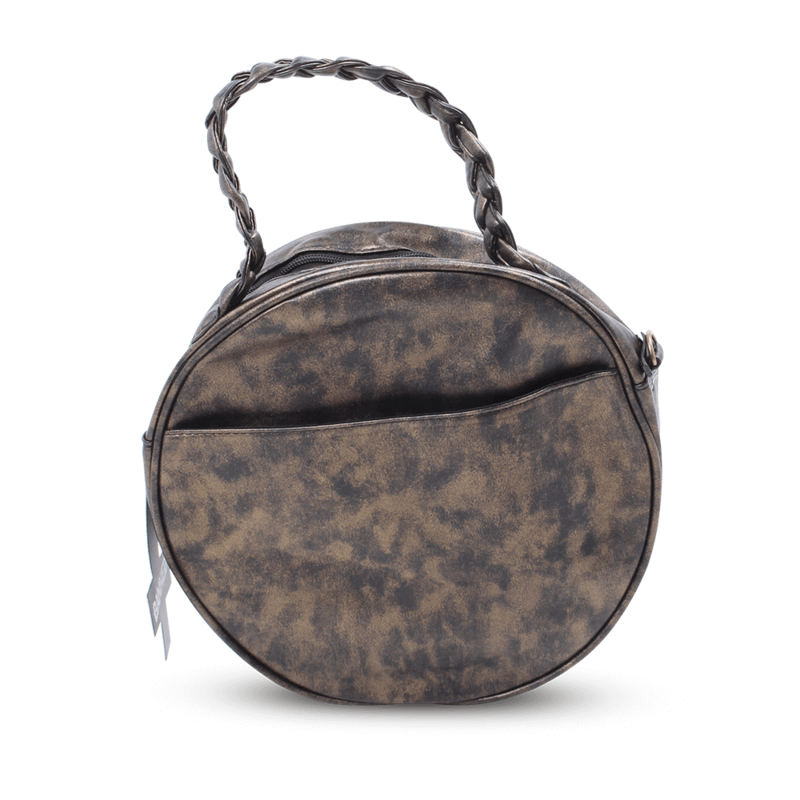 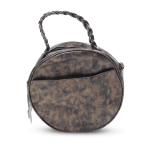 It features a zip opening with a short braided handle together with an optional adjustable shoulder strap. 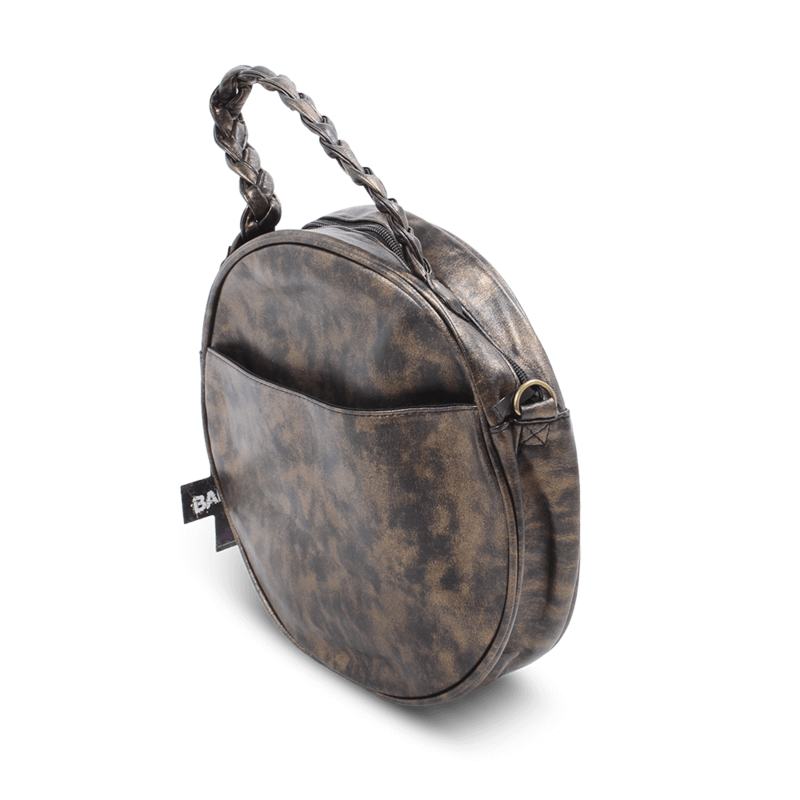 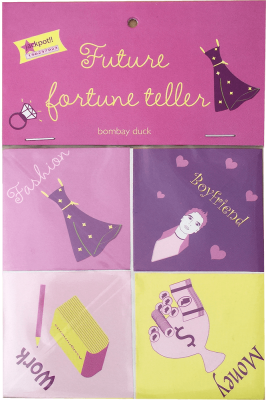 Internally the bag has a large zip pocket, phone & pen slots plus a deep lined outer pocket.